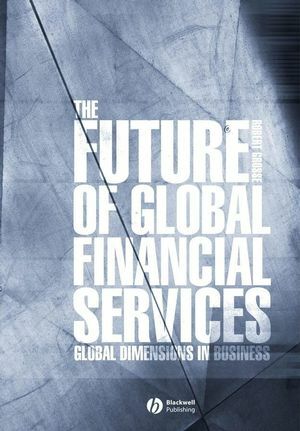 This book explores the future of the financial services industry, giving readers an idea of the kinds of institutions and services that will survive in the early twenty-first century. An informative and provocative exploration of the future of the financial services industry. Focuses on likely changes in the near future, such as greater use of the Internet for banking transactions and the increasing globalization of financial services. Points to the probable disappearance of the insurance sector as a separate industry. Describes changing conditions in key financial centres, especially the US, the UK, Germany, Japan and Switzerland. Robert Grosse is Professor of International Business and Director of Research at Thunderbird, The American Graduate School of International Management in Arizona. He has more than 20 years experience of teaching international finance, international banking, finance in emerging markets, and other finance and global strategy seminars. He has also worked as a consultant to American Express, Banco de Costa Rica, Banco de Credito e Inversiones (Chile), Banco Ganadero (Colombia), Citibank, Chase Manhattan Bank, Manufacturers Hanover Bank, and Merrill Lynch. 2. The Globalization of Financial Services. 3. The Virtualization of Financial Services. 4. Government Regulation: The Second Key Factor Underlying Industry Structure. 5. The Financial Landscape: Organizations and Universal Banking (The Status Quo). 6. Competitive Strategies of International Financial Institutions. 7. Competitiveness of Commercial Banks from Key Countries. 8. Responding to the Challenge of the New Economy. Part III: Direction of the Sector. 9. Why insurance won’t survive. 10. Investment banking at the crossroads. 11. Financial instruments and financial structures. 12. Generation of long-term investment to support long-term bond & stock markets. 13. Centers of international financial activity. 14. Surviving the twenty-first Century. Gives readers an idea of the kinds of financial institutions and services that will survive in the early twenty-first century.